Oof, I got to this page from the Yumbox company's Pinterest page and I was hoping for useful suggestions. These lunches are horrible--nothing but carbs, carbs, carbs! You don't have to exactly follow the food group suggestions on their tray but seriously, do you feed your kid ANY protein at all? Poor kid..
How incredibly rude. There are ways to express your feelings without outbursts such as that. I love that your daughter helped to pick what to pack for such an important week! There's so much to say for the familiar when you are in a new environment. These are gorgeous lunches. I love this lunch! so cute! 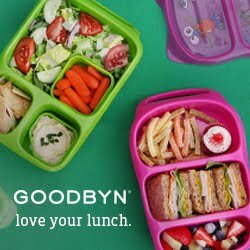 Are there any type of lunch boxes similar to the Yumbox brand that don't cost so much?? 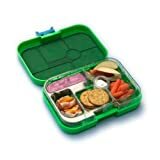 Your lunch boxes are amazing! I don't know how you make the time, but I hope when I have kids someday I can try to come close to what you do for yours. These are so creative and healthy! :) as for now, I apply some of these lunches to my "college lunchbag." Thank you for all your time and energy!!! My son's Yumbox arrived TODAY - yea! He starts pre-school (two days a week) soon and I want to make sure I get some great ideas for variety. He's 20 months old so his tastes and preferences change in a matter of minutes. Yesterday, he ate enough for five grown men. Today, he's eaten a banana and two crackers. Ughhh!!!!! I'm curious about the Fruit Fresh, what is that and where do you buy it? Kamden loves bananas so they might be a "staple" in his lunch. Nicole, I love Fruit Fresh and my local grocery store carries it in the canning section. I have seen it at target and Walmart in the canning section as well. You can also order it on Amazon It lasts a long time and keeps our fruit from browning.